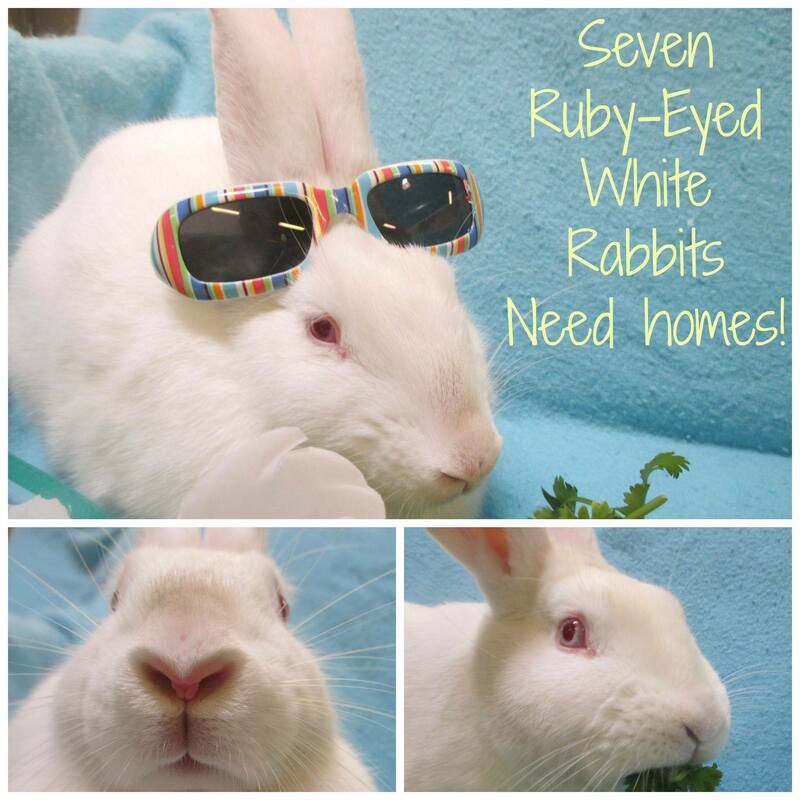 We have seven lovely ruby-eyed, white rabbits looking for their new families! Buns like this often have a harder time finding a forever home simply because of the color of their eyes. The Sacramento SPCA currently has seven of these friendly rabbits up for adoption, some of which have been with us since March. Please share and help us find these white rabbits their very own Alice(s)! This entry was posted in Animals, pets and tagged animals, Bunnies, compounding, Compounding Pharmacy Roseville, Compounding Pharmacy sacramento, Pet Adoption, pets, Rabbits, Sacramento SPCA, SPCA by Professional Village Compounding Pharmacy Sacramento. Bookmark the permalink.